If you don't have the ears to loud music, well, this is definitely not for you. But if you are up supporting budding OPM artists, give it a try, and who knows, you might enjoy them as I enjoyed it last November 9 at Excess Superclub in Quezon City. 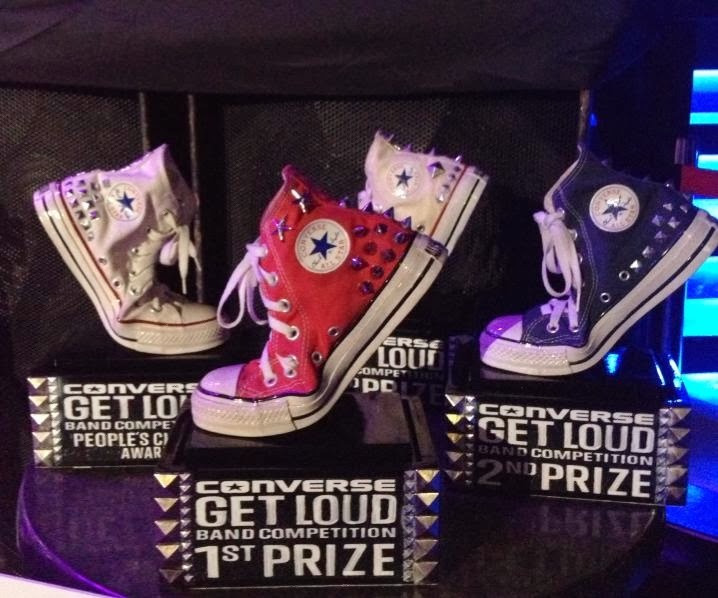 This is Converse's "Get Loud!" Rock on! 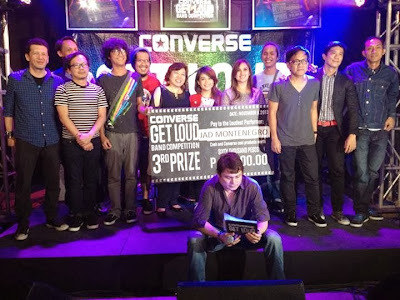 A song-writing competition and musical showdown, Converse's "Get Loud" presented 5 of the most sought-after bands in the country who are all well-deserve to be the first-ever winner of this prestigious contest. Gunning for the prestige of being the country's first-ever "Get Loud" champ are Even from North Luzon, Brisom from the National Capital Region, Kissbone from South Luzon, Bethany from Visayas and Jad Montenegro from Mindanao. I never thought I would enjoy it, to be honest, but once the first band stepped into the spotlight, I can't just stop myself enjoying every beat they share. It was a proud moment for me, because it was like travelling all over the Philippines through these bands music. They played their own music that night, and I was just simply hats off to these guys and gals - and to Converse too! First performer of the night was the band from Baguio, Even, who sang their original song "Luminary." The band is composed of Dyanne Licudine (vocals), Jam Bumanlag (guitars), Coco Saupan (bass) and Dan Allan Acosta (drums). Second performer is Brisom, who hails from NCR. And singing their original song "Walking Lives", are Brian Sombero (vocals and guitar), Jeffrey Castro (drums and beats), Jason Rondero (bass), Tim Abbott (synthesizer and keys) and Terence Teves (guitar). Third on the list and representing South Luzon is Kissbone. Composed of Armin Joseph Pepito (guitar and vocals), Justine Sioson (guitar and vocals), Renz Jerome Villanueva (drums), Parker Cataquian (bass) and Allan Paulo Luching (rhythm guitar), the band performed "Distance and Motion." And from the Visayas, particularly Cebu, coming in fourth performer that night is Bethany, who sang their own song "Keep Moving On". The band is composed of Luis Quibranza III (lead vocals and guitar), Angelo Quibranza (lead guitar and vocals), Paolo Miguel Quibranza (drums and vocals) and Kevin Borromeo (bass). 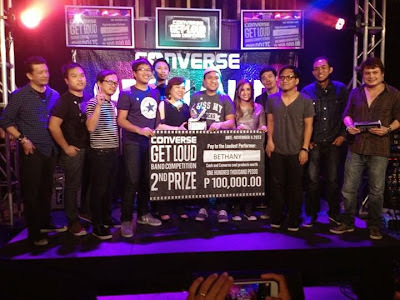 The last but not the least, is the the female-led band named after the band vocalist Jad Montenegro from Mindanao. Despite of some technical issues, the band was able to perform their original song "The Escapist." The band is composed of Dave Ibao (guitar and backing vocals), Eric Luzada (lead guitar), Pjoe Sabanpan (bass) and Carlo Garcia (drums, backing vocals). 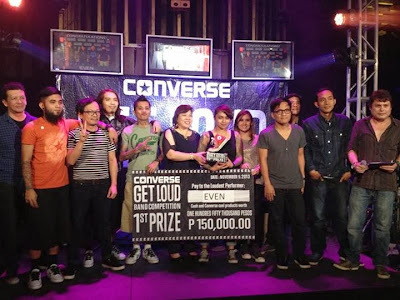 And base from the scores that each band has garnered (composition with 30 percent, musicality with 25 percent, live performance 25 percent and the remaining 20 percent on online votes), Even from Baguio got most scores making them the first-ever Converse’s "Get Loud!" Aside from the honor of being the country’s first “Get Loud” champ, the grand prize winner will take home Php150,000 of cash and Converse products. 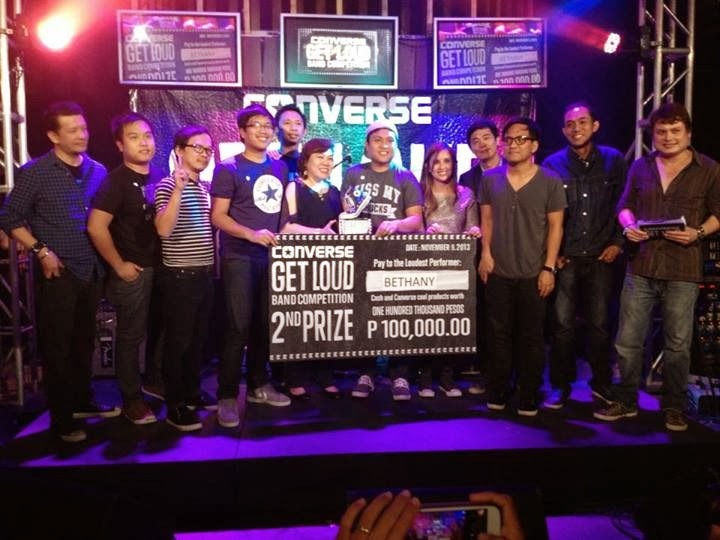 The first and second runner-ups and the two finalists will be awarded with Php100,000, Php60,000 and Php40,000 of cash and Converse products respectively. Congratulations and more power to the winners! Mabuhay ang OPM!